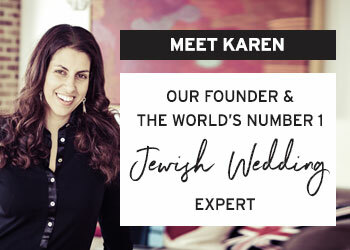 I first received an email from today’s bride in April of last year when she wrote to me asking for recommendations for a wedding planner, a great wedding website, and other ideas for her dream wedding in Israel. Doing what I do, I had some lovely ideas for her, one of which was the suggestion of working with the brilliant BE Group TLV to plan and produce her destination wedding (Bertha and David hail from Mexico!). 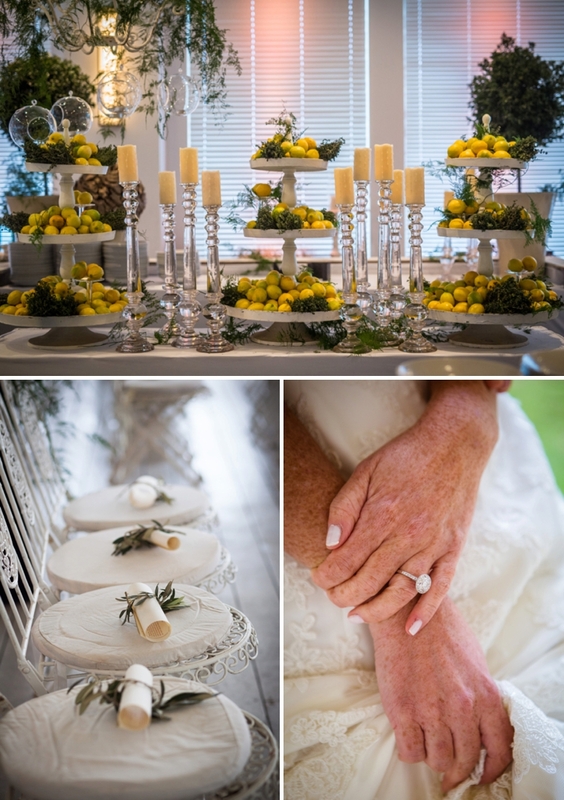 Roll on just over a year later, and I can safely say that Bertha was thrilled to bits with her experience of working with Lisa and the team at BE Group TLV (as you’ll read below) and I could not be happier to be blogging her frankly fabulous wedding to David. 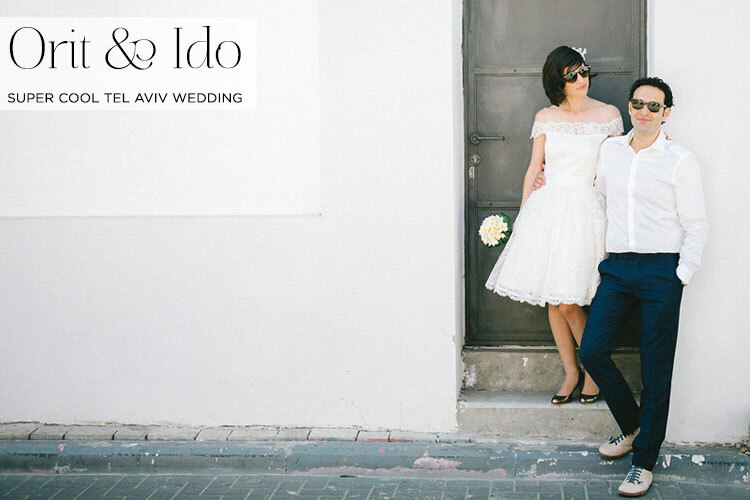 The couple were after a laid back but pretty feel to their big day and chose to get married at Bayit Al Hayam, a gorgeous venue right on the beach in Jaffa-Tel Aviv. 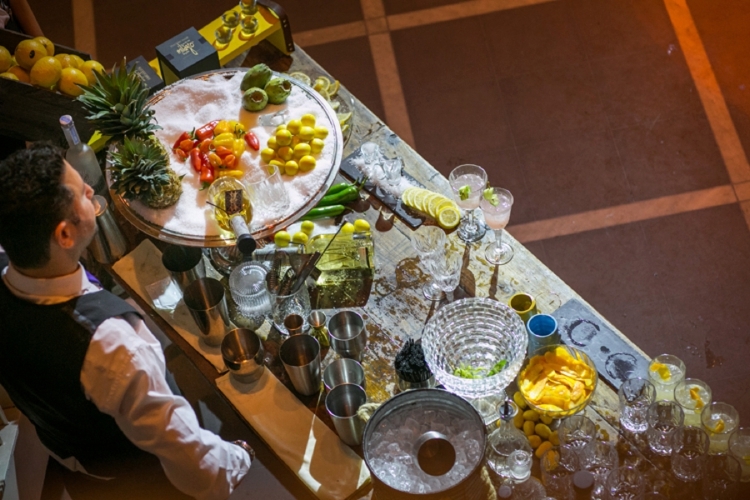 They placed an emphasis on ’boutique booze’ (I’m talking a premium tequila and margarita bar, with one of Israel’s best mixologists brought in for the night!) and colourful garden market details with fruit and vegetable decor which just works SO well. Now even though this is an elegant, sophisticated do, I love that the bride and groom chose to sit with their friends on a long cream sofa and chose to forgo assigned seating for their guests. They went for a combination of different sized tables and cream sofas and I think it’s so important to remember that you can be playful with your seating arrangements. You don’t have to stick to ‘tried and tested’ formulae! There were also lots of lovely details to reflect Bertha and David’s Mexican heritage like churros instead of wedding cake, kippot made in Mexico, and tequila bottle favours organised by the bride’s brother and father. 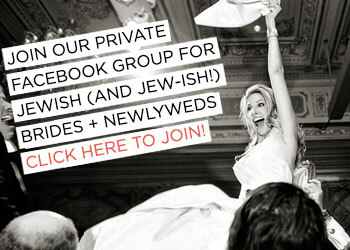 A couple of other elements that I LOVE are a children’s choir and shofar accompanying the couple to the chuppah, and on a very different note (excuse the pun!) the screening of photos at the reception of the guests on tours of Jerusalem and the North of Israel. 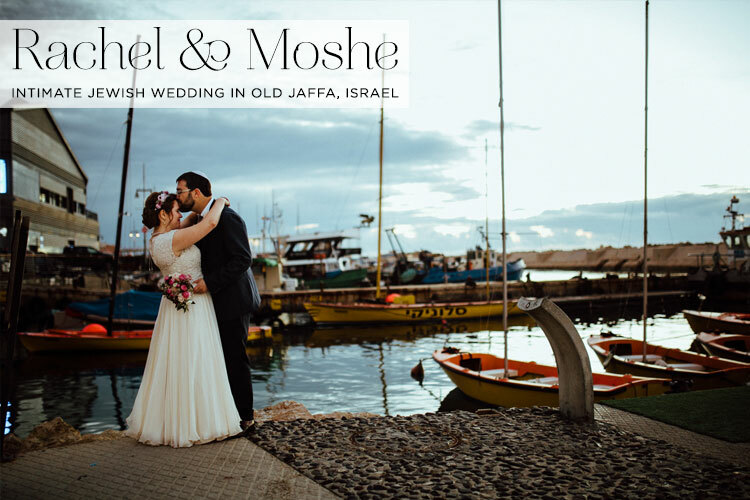 Bertha and David had organised these tours of Israel for their guests as part of their wedding week, and it must have been so lovely for the guests to see images of their Israel experiences on the big screen at the reception. Bertha looks exquisite in a gown designed by a friend of hers from Mexico. 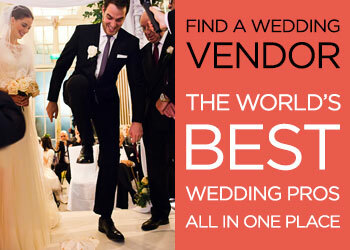 She was inspired by several of the big designer names but wasn’t able to find a look she loved, so she had the dress of her dreams custom-made. And let’s not leave out the dashing groom! I am seriously coveting his black patent leather Converse which he teamed with a Kenneth Cole tuxedo. Super super cool! Before I show you all the pretty, let me leave you with this wonderful quote from Bertha & David’s wedding website (for which they used the amazing Riley & Grey, also recommended by yours truly 🙂 ) alluding to the fact that the two of them met back in 1983… in kindergarten no less! Bertha, the Bride: David and I first met in kindergarten in 1983! Our families have known each other for about 30 years and our brothers were childhood friends. We re-connected many years later in our late 20’s and became best friends. We began dating years later and dated for two years before getting married. 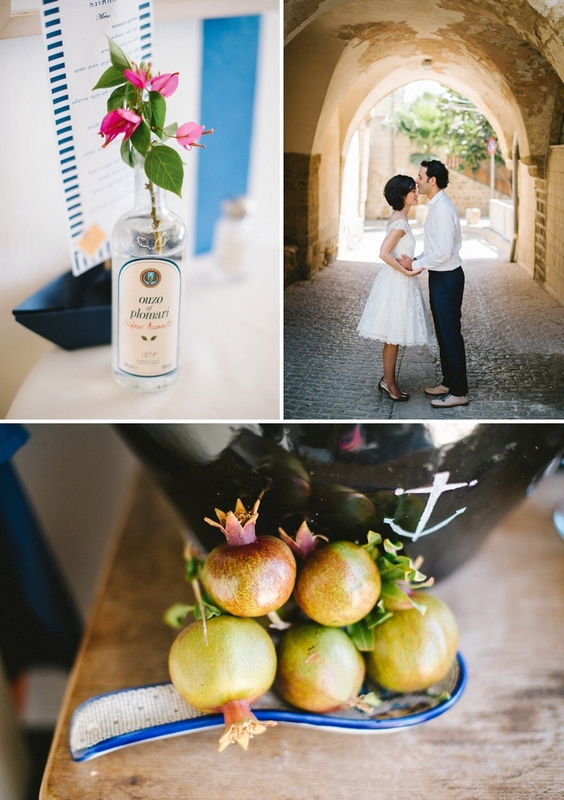 When this first picture (above) of Naama and Ezri landed in my inbox, I knew that this would be a brilliant wedding to blog on Smashing The Glass. First off, I have a soft spot for any kind of unusual Jewish wedding venue, and their choice is certainly different: a beer factory (yes beer factory!) with the most gorgeous decor and an intimate, homely feel. Second of all, will you just look at those two?! One of the best things about this job is how uplifting it is to look at images of people in love, and I think it’s fair to say that Naama and Ezri are truly, madly, deeply in love. Their deep affection for each other literally radiates from every one of the fashion magazine-worthy images by Simsisters. 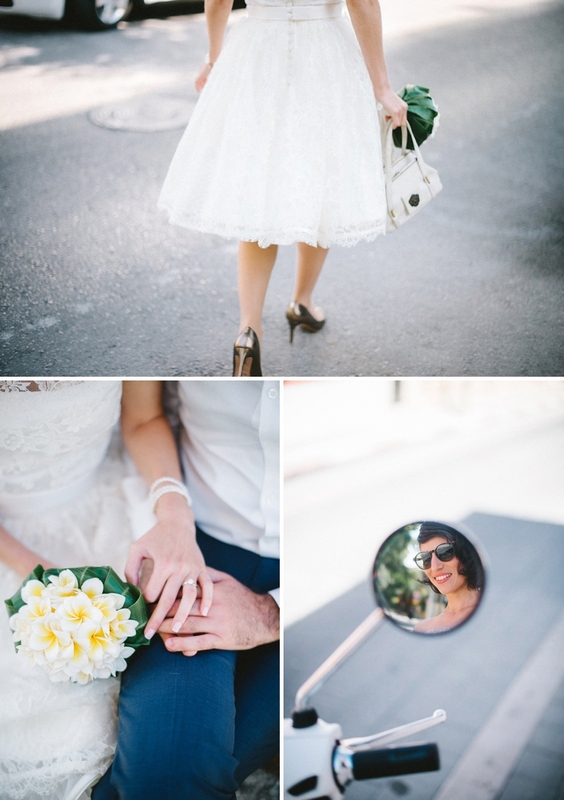 Naama and Ezri two are free-spirited souls who incorporated all sorts of personal touches into their big day, and it must be said that this is also the first W-Day I’ve ever blogged that includes a ‘spoken word’ session! Let me hand you over to Naama, to tell you all about her and Ezri’s story… Have a great weekend everyone! Today will brighten up your Thursday whatever mood you’re in. Such joy and happiness radiates from every single image! 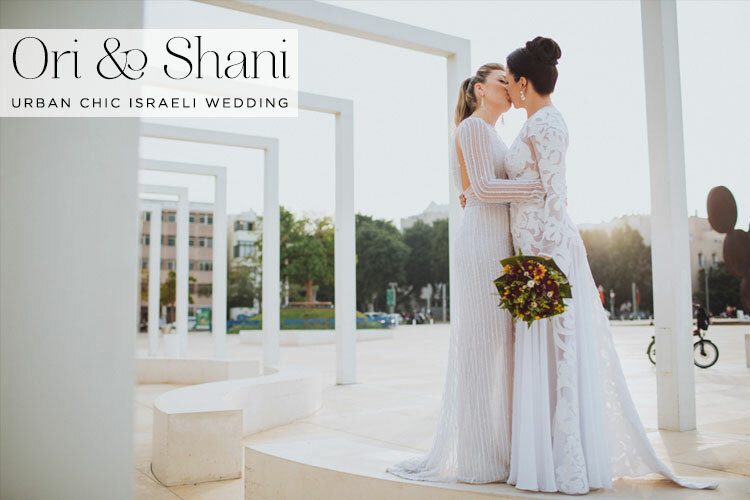 Ori and Shani look super hot in their four Dany Mizrachi gowns (yes both brides wore two dresses each all by the same designer – how snazzy is that?!). There are so many pretty decor touches too — I love the cute signage, the mini potted plant wedding favours, and the framed photos of Ori and Shani dotted about their achingly cool warehouse-style venue in the heart of the city. 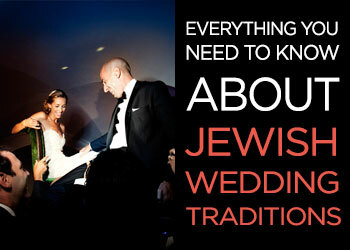 And of course, not one, but TWO glasses were smashed at the end of their Jewish wedding ceremony! These two brides have such a sweet proposal story and organised their whole affair in just 5 months. 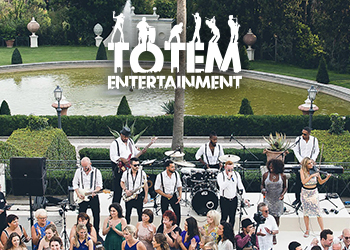 It’s a wonderful day full of smiles and happiness and it’s all stunningly captured by none other than one of our talented Smashing Suppliers, Igor Lubenski.